What if charging your cell phone was as easy as sticking it in your pocket for a few hours? That’s the premise of the Nokia E-Cu concept phone, developed by British designer Patrick Hyland. 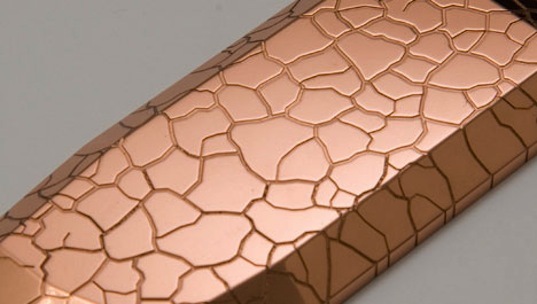 Hyland’s Nokia E-Cu (E for environment, Cu for Copper) phone features a copper exterior and a thermogenerator integrated interior that converts heat energy into electric energy. Theoretically, the phone could be charged on any hot surface–from a radiator to a pants pocket. But as we previously mentioned, the phone is still a concept – and we’ll probably see ideas like the piezoelectric power make its way into future cell phones before Nokia’s idea. However, we certainly look forward to the day when our body warmth alone can juice up our electronics! Is this the same marvel of modern technology we're not suppose to put too close to our bodies? Any hot surface? Like, for example, the heat from the CPU? Brilliant! Nokia created perpetual energy. *Troll disclaimer* This is only a joke. This would be a great idea if materialized. It can produce energy from body heat and at the same time, charge our handhelds. Re: samsam "Like, what about overcharging it? If a battery is full or, truthfully, has power, you shouldn’t continue charging it." What do you think happens when you leave your mobile plugged in overnight? There are chips inside the device that monitor the battery levels and once they are full they go to trickle charge then stop completely. They would just use something similar in this phone. The heat thing you make a good point, hopefully it is efficient enough that it will absorb the heat quick enough that it wouldn't cause any risk of burns. but tose it get lowbattery when it doent get heat like for a few min. I only have 2 problems with this. The first one is that I can't have one *now* and the second is a concern about what would happen if I talked the battery empty? I frequently have to go rushing for my charger while I'm in mid conversation. Would the heat of a hand holding it be enough to stop a disconnect? And would the phone be able to utilize the heat generated by use (unless they manage to make it so that doesn't happen). I'll be looking forward to hearing more about this! This is full of awesome. But there are some problems that I'm sure developers would think about if it was ever put into motion. Like, what about overcharging it? If a battery is full or, truthfully, has power, you shouldn't continue charging it. It makes the battery life much shorter. So how do you carry it around when there's already power in it? Some might say purse or phone holder, but truthfully if you're already using your pocket to charge it, why bother with alternativer storage? Already, I don't even put my phone in my purse: I can never hear it or feel it vibrate. Also, if someone tries to charge it in a hurry by putting the phone on something hotter than a human body, could it risk burning the person when you put it away? Morpheus, you get +1 Internet. eco-friendly and avant-garde... i like. make it happen. The human body generates more bio-electricity than a 120 volt battery and over 25,000 BTUs of body heat. Combined with a form of fusion the machines had found all the energy they would ever need. What if charging your cell phone was as easy as sticking it in your pocket for a few hours? That's the premise of the Nokia E-Cu concept phone, developed by British designer Patrick Hyland. 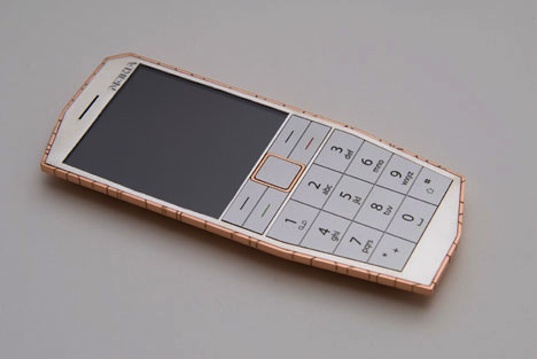 Hyland's Nokia E-Cu (E for environment, Cu for Copper) phone features a copper exterior and a thermogenerator integrated interior that converts heat energy into electric energy.